The Divine Mother of the universe has also assumed the form of Mother Mary or the Virgin Mary mother of Jesus. As such, the Divine Mother makes her presence known to her Christian children. She instructs them in the way of the divine feminine and her aspects of compassion, mercy, forgiveness and unconditional love. It is not really known, nor does it matter, if Mary the wife of Joseph was born as an incarnation of the Goddess. 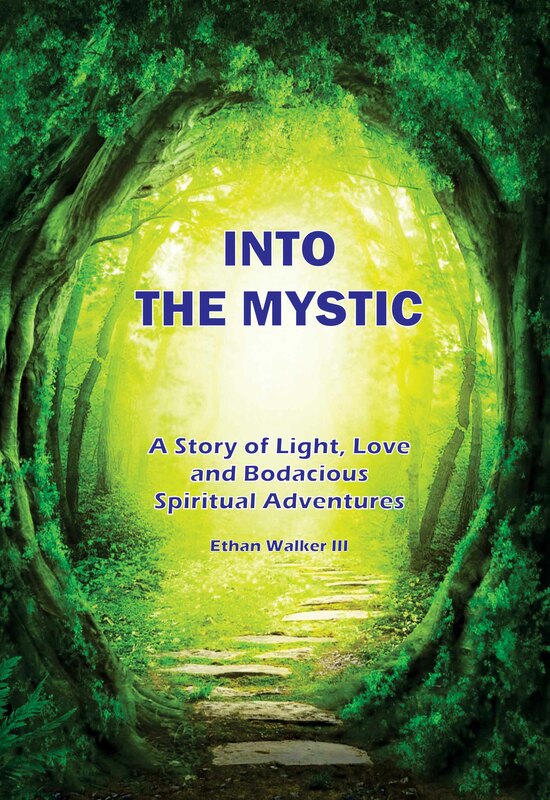 What is certain is the universal Divine Mother now uses this form to communicate with Her children that are predisposed to the Christian path. The Divine Mother can and does assume any form She likes to communicate with Her children in various cultures and for various times. The universal Divine Mother has appeared as Mother Mary numerous times just as She appears as Kuan Yin for many Buddhists. Let's explore some of Mother Mary's appearances. In 1968 while all in America were watching live war zone broadcasts from Vietnam, Mother Mary was appearing for tens of thousands to see in the land of the pyramids at a Coptic church constructed to commemorate the area in Egypt where she had come with Joseph and Jesus when they all fled from Herod. Starting in April, 1968, her apparitions of light changed the lives of thousands. Her appearances at Zeitun were astounding. She was seen by more than a million people. The apparitions were broadcast by Egyptian TV, photographed by hundreds of professional photographers and personally witnessed by Egyptian President Abdul Nasser, an avowed Marxist. The apparitions lasted for three years with numerous unaccountable healings recorded by various medical professionals. The local police, who initially thought the apparitions were an elaborate hoax, searched a 15-mile radius surrounding the site to uncover any type of device that could be used to project such images. They were completely unsuccessful. She was seen accompanied by doves of light in apparitions that lasted from a few minutes to as long as nine hours. Kyrillos VI, the Orthodox patriarch, formed a commission to investigate the apparitions. A number of the commissioners observed plumes of fragrant purple smoke rising from the church at the time of the apparitions and the figure of a woman surrounded by a very bright globe of light accompanied by doves of light. 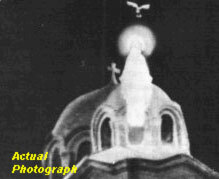 More recently, the appearance of a woman clothed in light has been observed above the roof of the Church of St. Damian in Shoubra, Egypt, a suburb of Cairo. Starting in 1983 and seen with increasing frequency in the mid-1980's, the woman was seen by thousands walking above the church bathed in light in apparitions lasting up to five hours. Medjugorje ("between the hills") has become well known in Bosnia-Hercegovina (formerly Yugoslavia), and the world, because of six young people who claim to have seen visions of the Madonna. 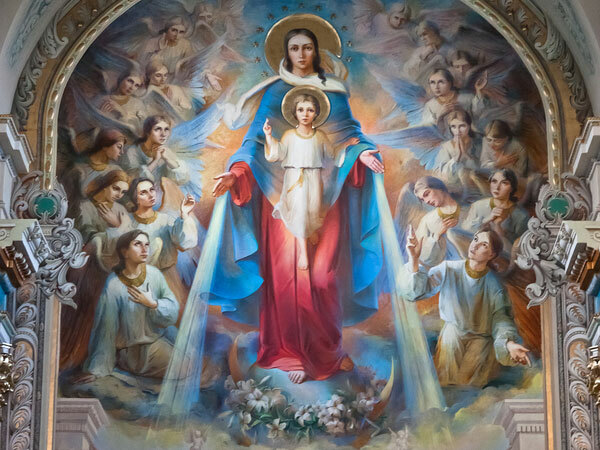 Beginning on June 24, 1981, the Blessed Mother appeared to, and later told the visionaries God sent her to our world to help us convert our hearts and lives back to Him. 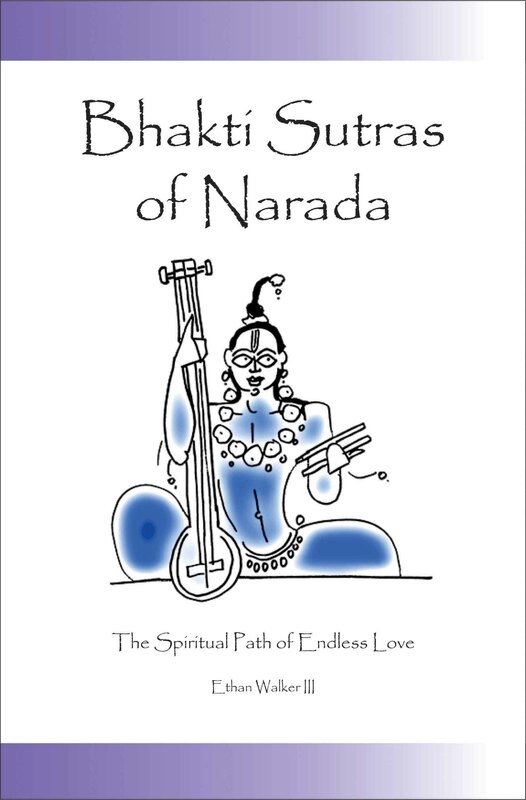 They are Messages of Peace and Love, and are meant to guide each one of us to a closer relationship with God. Our Lady has appeared in Medjugorje every day since June 24, 1981 to present. When the Blessed Virgin Mary reportedly first appeared to 16-year-old Mirjana Dragicevic on June 24, 1981, she was walking casually with her girlfriend Ivanka Ivankovic, 17, near a hilltop known as Podprado at a village called Medjugorje in Yugoslavia. Since that time, both girls and four of their young friends have been seeing this vision of the Virgin Mary regularly, often on a daily basis. The total number of reported apparitions is now close to 2,000. Never in the history of Marian apparitions has such a condition existed. At an early point during these appearances, the heavenly visitor promised to reveal 10 secrets, or messages, to each of the six young people. While the content of none of the secrets is yet known, the seers say that only four of the revelations are common to all mankind; the others have to do with the individual visionaries or the Medjugorje community. In Lourdes France the Divine Mother appeared in eighteen apparitions in 1858 to Bernadette Casterot. Bernadette was from a poverty-stricken family, frail in health and the eldest of nine children. Between February 11 and July 16, 1858, at the age of 14, she had a series of visions of Mother Mary, who revealed her identity with the words "I am the Immaculate Conception." Bernadette steadfastly defended the genuineness of these visions despite strong opposition from her parents, the local clergy, and civil authorities, and she faithfully transmitted Mary's messages. To escape public attention she became a boarder in the local school run by the Sisters of Charity of Nevers. In 1866 she was granted admission into the novitiate in the mother house at Nevers. There she completed her religious instruction and passed her remaining years in prayer and seclusion, happy and loved for her kindliness, holiness, and wit, despite almost constant sickness and pain. The Portugal town of Fátima since 1917 has been one of the greatest Marian shrines in the world, visited by thousands of pilgrims annually. On May 13, 1917, and in each subsequent month until October of that year, three young peasant children, Lucia dos Santos and her cousins Francisco and Jacinta Marto, reportedly saw a lady who identified herself as the Lady of the Rosary. On October 13, a crowd (generally estimated at about 70,000) gathered at Fátima witnessed a "miraculous solar phenomenon" immediately after the lady had appeared to the children. 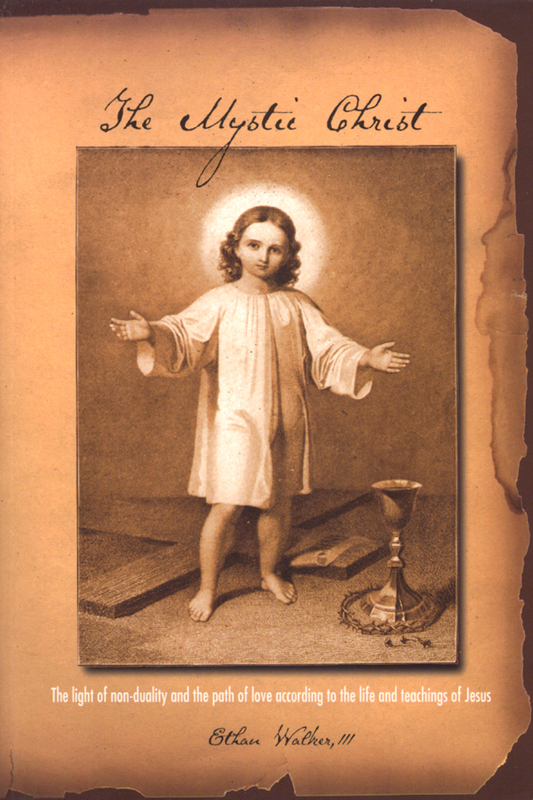 After initial opposition, the Bishop of Leiria on October 13, 1930, accepted the children's visions as the appearance of Mother Mary; in the same year papal indulgences were granted to pilgrims. The content of the devotion includes frequent recitation of the rosary and devotion to the Immaculate Heart of the Blessed Virgin Mary. At the end of the 20th century there had been growing speculation concerning the three messages the Virgin Mary allegedly revealed to the peasant children in 1917. While two of the messages had been disclosed in the 1940s-commonly interpreted as the prediction of the end of World War I and the start of World War II and the rise and fall of communism-the third had been kept secret by the Vatican, giving rise to numerous theories. In May 2000 it was finally announced that the third message was the Virgin Mary's vision of the 1981 assassination attempt on Pope John Paul II. The news came during a beatification ceremony for Francisco and Jacinta Marto. Early on Saturday morning of December 9, 1531, Juan Diego, a poor convert, first saw the Virgin. He was at Tepeyac Hill (3 miles from the Mexico City Cathedral). He heard Heavenly music and then her voice. She was before him "radiant as the sun,". She told him to tell the Bishop that they were to build a church on that spot (where one to the Aztec goddess presently stood) so she could be near her people to love and protect them. She called him "my son" and said, "I am the Mother of all of you who dwell in this land." Juan tried to carry out her commands, but had trouble seeing the Bishop who may not have believed him. When he finally was able to see him, the Bishop sent him back to the Virgin for a token proving his story. On Monday, the Virgin told Juan to return to the place he had first seen her and to pick some roses there which would be his token to the Bishop. Juan was amazed to find beautiful Castilian roses among the rocks, where only cactus had grown before. He gathered them into his cloak and headed back to the Bishop. When Juan took the roses to the Bishop, he let his cloak fall open. At that moment there appeared upon it the image of the Virgin of Guadalupe. The Bishop immediately prayed for forgiveness for not believing Juan the first time. Then he placed the cloak over the altar in his chapel and asked where the Virgin wanted her church. The image on Juan's cloak shows the Virgin supported by an angel at her feet and rays of light surrounding her. These two characteristics are nearly always a part of art depicting the Virgin of Guadalupe. Needless to say, the church was built and the cloak with the image of the Virgin was hung inside. Millions of natives were converted. In 1544 there was a terrible epidemic in Mexico City which killed thousands. The Virgin was brought and her presence ended the spread of the sickness. In 1629, there was a flood, and the presence of the Virgin caused it to abate. In 1754, the Virgin of Guadalupe was declared Patroness and Protectress of New Spain.